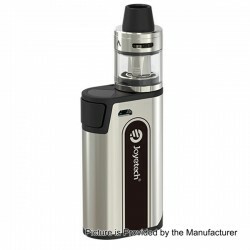 Original Joyetech CuBox 3000mAh Built-in Battery Box Mod + CUBIS 2 Atomizer Kit available for order now,only $26.99. Innovating on the initial success of the original CUBIS series atomizer, the all-new CUBIS 2 atomizer comes with a precision top-fill and top airflow control. Being child-proof, close the airflow first and push and flip to open the top cap then you're free to refill. The compact CuBox features one of the most elegant mod with visually stunning designs available, making it one of a kind starter kit with the CUBIS 2 atomizer. It is powered by an integrated 3000mAh battery and 2A quick charge. 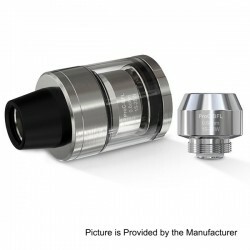 Having the new ProC-BF series head, the CUBIS 2 atomizer provides a more restricted draw for mouth to lung vapers and pretty soft flavorful clouds. 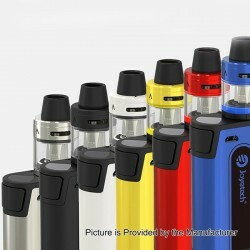 It is also compatible with normal 510 mouthpieces and has the special 2ml TPD version for your options as well.